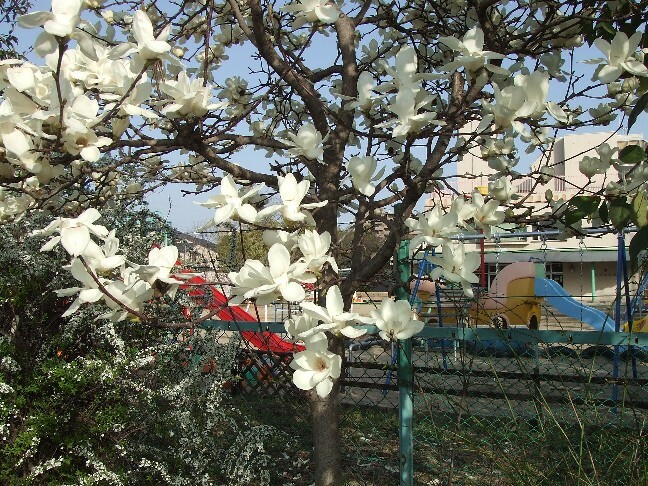 March 29 was a little early for Sakura, or cherry blossoms, but there were some cherry trees blooming in central Osaka. 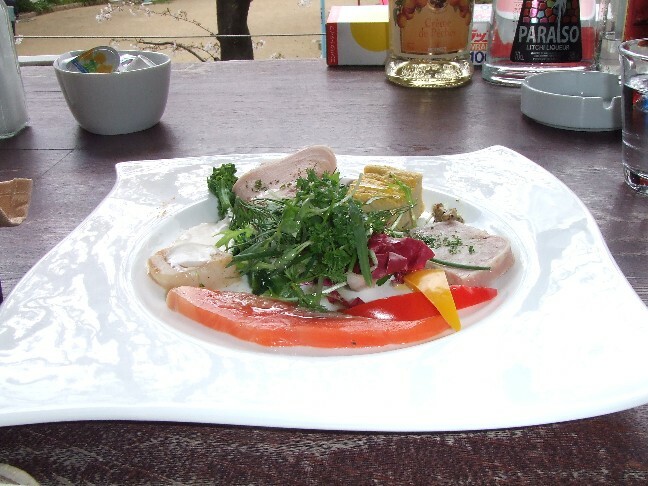 I went to a restaurant called “Grove” between Kozu Park, and Kozu Shrine with a good friend of mine. 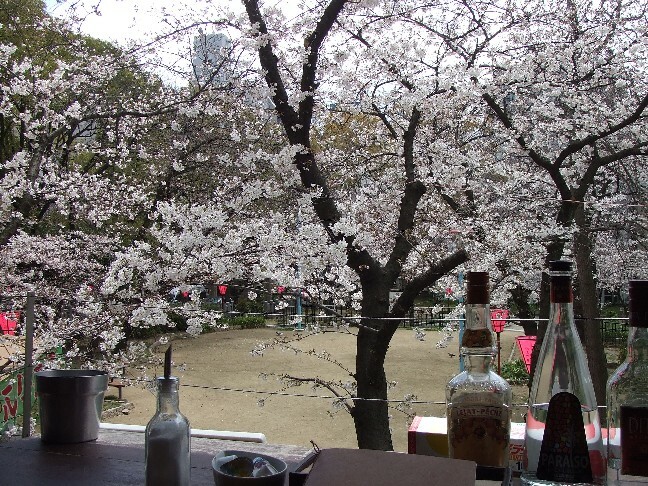 From the restaurant, you can see cherry blossoms of Kozu Park. Their window is like “convertible”. They remove the glass wall when the weather is warm. 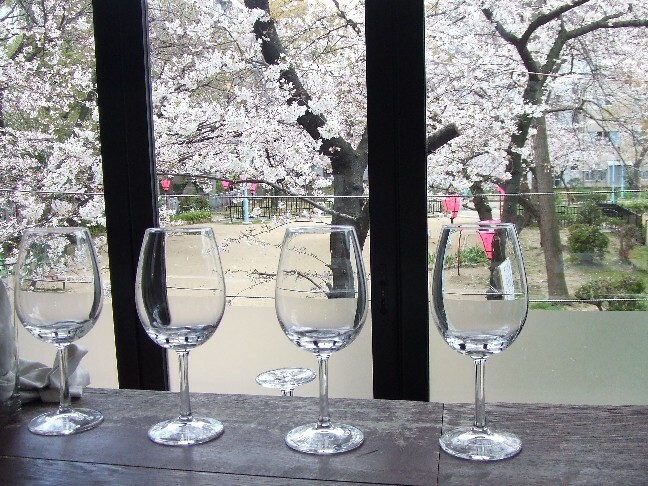 When we got there, the glass wall was stored, and the whole restaurant was like a big terrace. As it got chilly and windy, the glass wall appeared. 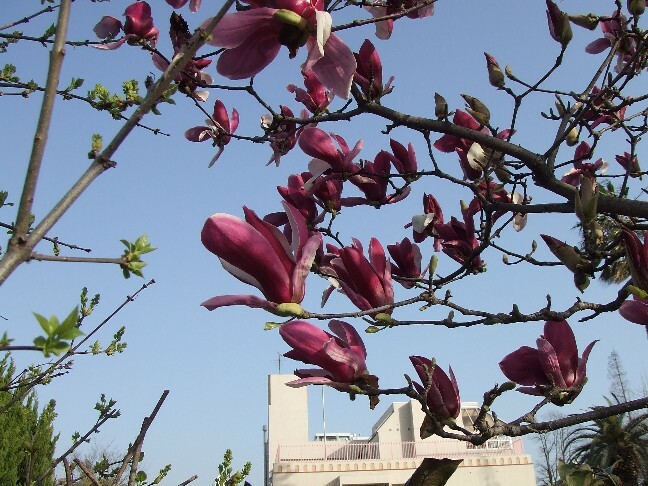 We enjoyed cherry blossoms and good meal at the same time! More "Keion" stuff than before. 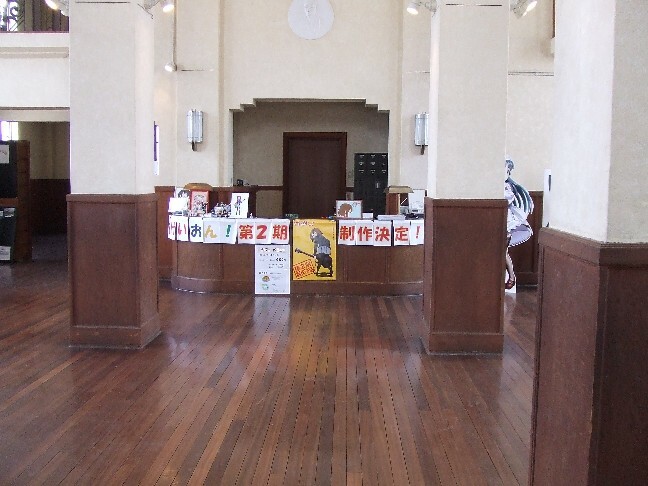 There are visitors purely to see the architecture, but there also are fans of Keion visiting from all over Japan. 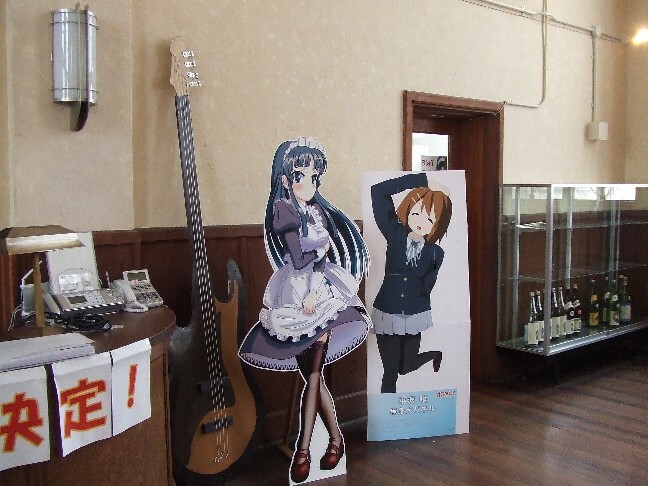 These boys are fans of fictional girls of the anime, "K-ON", or keion. 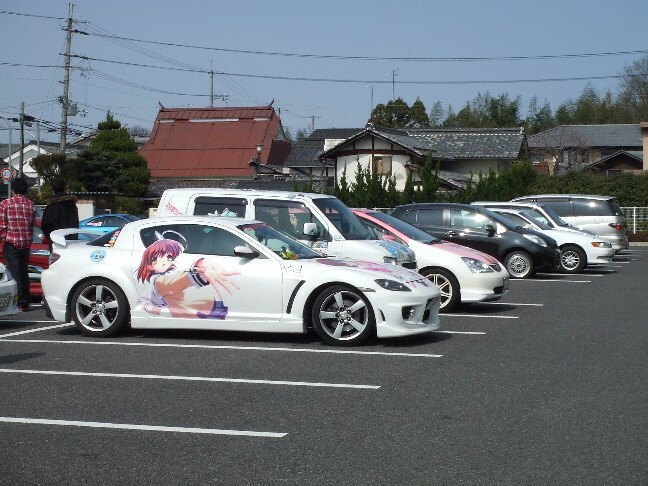 They even paint the fictional girls on their cars. What an "otaku" world! 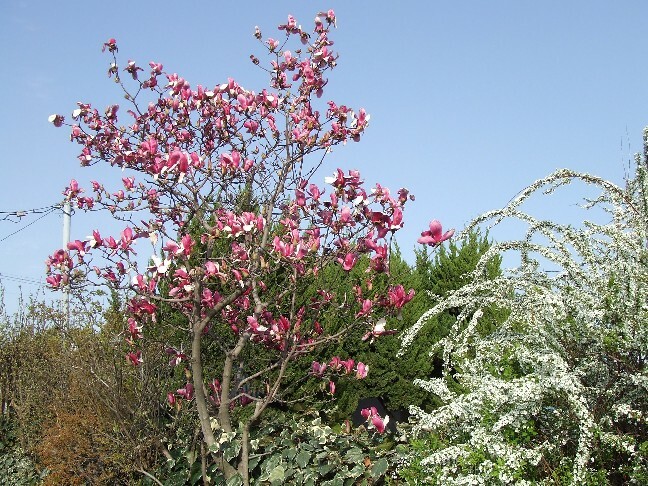 Japanese Magnolias are called "Mokuren". 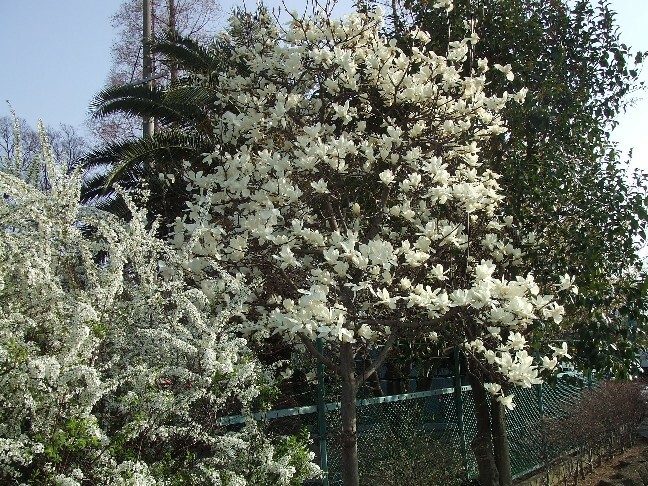 Each flower is smaller than the American ones.